Rock n’ roll has had its share of power couples over the years, but the combination of the blues singer Susan Tedeschi and the legendary slide guitarist Derek Trucks was a formidable one indeed. 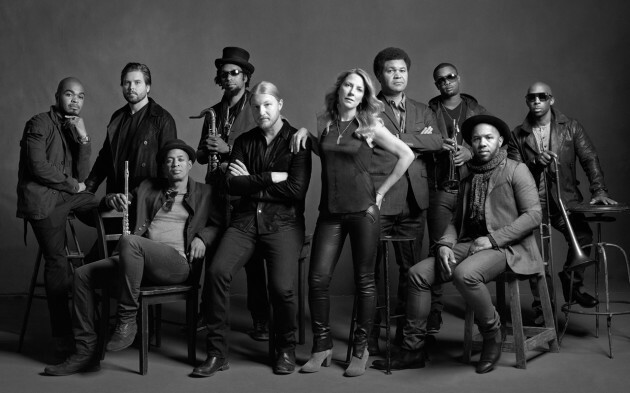 Tedeschi Trucks Band has been active for the better part of this decade, giving a more mature perspective on the sounds that made each of these musicians famous. On this crystal clear Mountain Jam night, TTB rolled in as an eleven-piece and played a soaring 90 minutes of blues-inflected rock that gave its signature members plenty of room to show off their chops. We got some especially deep jamming during “Bound for Glory” and “The Storm”, the latter of which reminded us that we were really, really happy to be bone-dry at a Mountain Jam for once. With Gov’t Mule (that recording here) coming up next, by the time TTB left the stage the night was still young, but we had already had our hair blown back. 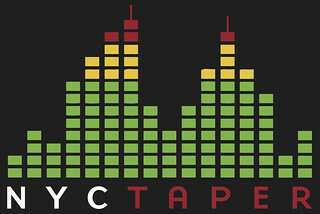 I recorded this set with MBHO microphones from the “taping area” near the soundboard. While the effects of occasional wind and distance can be heard at times, the MBHOs do an excellent job of adding vocal clarity and presence that compensates for those issues, and the Aerco preamp adds warmth to the sound of these microphones. Enjoy! If you enjoyed this recording, please support Tedeschi Trucks Band, visit their website, and buy their merch and records there. Really nice-sounding recording — I know nothing of mics, rigs, and such, but I do have ears, and this is a warm, friendly sound, as promised. Thanks! Thanks for the set and the great recording. I recently caught Tedeschi Trucks at the Britt in Jacksonville, Oregon and it was amazing. I’d seen The Derek Trucks Band a handful of times, including appearances by Susan, but never TTB until this September. I won’t miss them if they are in Oregon/Washington again, just a stellar performance.